Released by Widex on April 30, 2018 the Widex Evoke 220 Rechargeable falls under Widex`s standard technology level within the Evoke Z Rechargeable family. 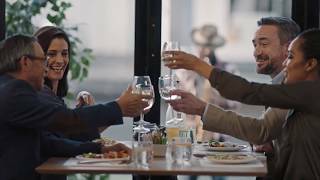 As standard technology, this hearing aid is the third best technology that Widex has to offer, making it a solid choice for individuals with quiet lifestyles, who primarily wish to hear better around the home, in one-on-one conversations, watching TV, and in mostly quiet and small group settings. 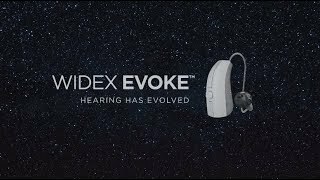 The Widex Evoke 220 Rechargeable hearing aid has 10 channels and 3 customizable programs, and that gives it the flexibility to digitally process sound in a way that sounds natural, and can also be adapted to the particular listening environment of the wearer. The Evoke 220 Rechargeable can be powered by either a rechargeable silver-zinc battery, requiring overnight charging, or a traditional size 312 disposable hearing aid battery which will need to be changed weekly. With a maximum potential gain of 52 SPL, the Evoke 220 Rechargeable is suitable for individuals with mild to severe hearing loss. With its discreet RIC (receiver in canal) style, the Evoke 220 Rechargeable sits comfortably behind the ear and is hardly noticeable to the wearer or others. This hearing aid is available in 9 color choices as shown below. If you have questions about the Evoke 220 Rechargeable that you don`t find answered on this page, or are looking for specs on this device, you might want to check out the downloadable documents (below), visit Widex`s website, or feel free to give us a call at 800-731-6794. Get the details about the Widex EVOKE Hearing aid - the first hearing aid with machine learning technology inside. 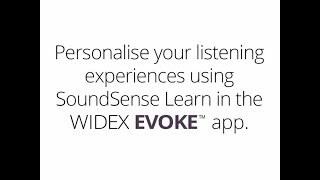 Learn about the SoundSense learn feature in the Widex Evoke App. The award-winning ZPower Rechargeable System makes current or new hearing aids rechargeable and is capable of energizing today’s most powerful hearing aids for a full day of uninterrupted use. Simply set your hearing device in the charging stand overnight, instead of replacing batteries every few days. No more fumbling with tiny batteries. Batteries are replaced annually by hearing aid professional. One pair of ZPower microbatteries can take the place of an estimated 200 disposable batteries per year. TV Play is Widex's newest and preferred TV streaming solution for Evoke Fusion 2 hearing aids. This streamer enables direct Dolby Digital stereo sound to stream directly from the TV to your Widex hearing aids, with no intermediary device required, unlike the older TV-DEX. Enjoy personalized sound control with the easy-to-use EVOKE app for both iPhone and Android. This hearing aid will come with a manufacturer's 2 year repair warranty and 2 year loss and damage warranty. As one of the few authorized Widex retailers on the web, you can rest assured that no matter what happens to your hearing aids during this time period- you're covered with a full factory warranty.